In this article we will cover how to create a React application using React-Router for routing and an Express backend. We will then deploy it to Heroku. 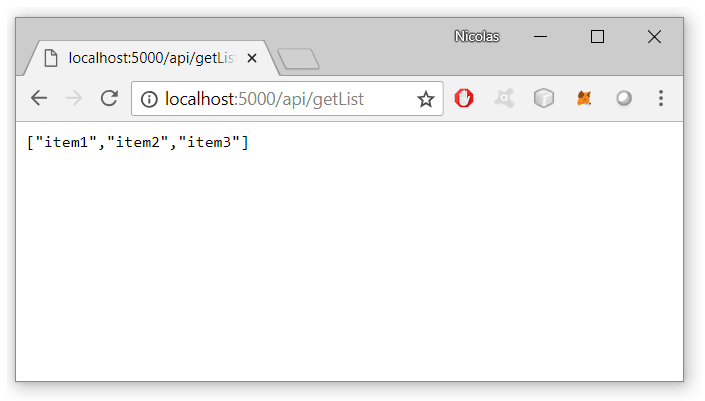 This tutorial offers a simple way to set up an API that can be quickly updated and tested while creating a React application. It may also offer help to those who are new to React. There are several ways to accomplish this goal but I have covered a very simple method that I am most familiar with. If you have a different method or if I have made any mistakes, feel free to let me know. In order to begin setting up our app, both node.js and npm need to have been installed. To start we will need to create a parent directory, which can be named anything you want. Here we will call ours react-express-example. Create a file named index.js and enter the following code, this will serve as a most basic express app. We call express() in order to create our express application, denoted by the object app. We then create a method to handle a GET request for /api/getList that will send a json response with a list of items. We will call this from our React app later. Add a script in package.json so that the app is started once placed on the appropriate server. I normally launch my example projects on Heroku. At this point we can test our express app to make sure that everything works so far. The basic React app is now be visible at http://localhost:3000/ after running npm start from within the client folder. If you decide to name this something other than client, you will have to make changes to the Express file, as it is set to point to client/build. In order for our React app to proxy API requests to the Express app we have created above, we will need to make a change to client/package.json. 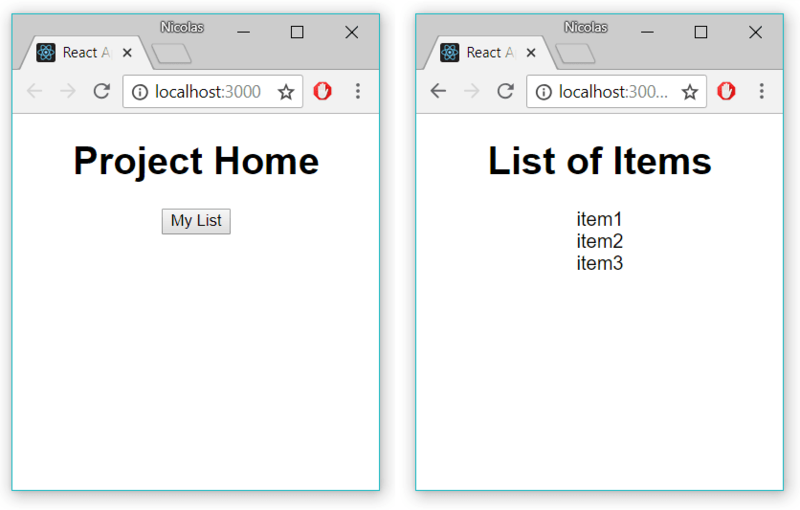 This is done by adding the line "proxy": "http://localhost:5000"
Here we will add React-Router to our project and create two pages, Home.js and List.js. If you choose not to use React-Router skip to Calling Our Express App. I have had some trouble setting up a simple implementation in the past so I have included it with this tutorial. In this segment of code we have created routes for a home page and a page to display our list. Next we will need to create these pages. After reading an article by Alexis Mangin I began structuring my React projects similar to how describes. At this point, I recommend reorganizing the project to match the image below. We have created a button that will link to List.js. At this point the project should be up and running. 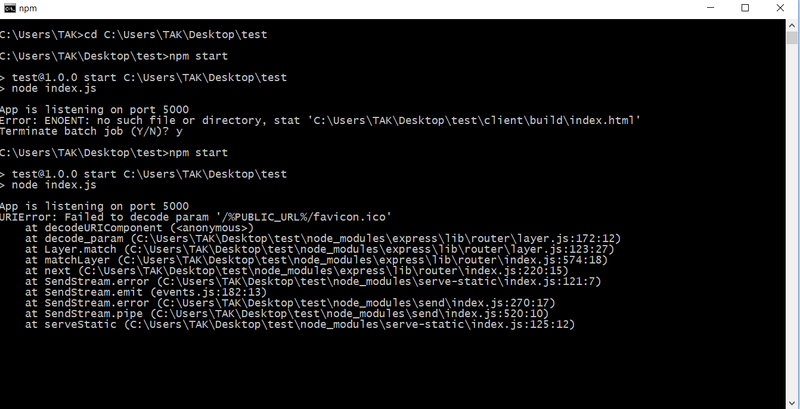 To test the project run npm start from both the project's home directory and from within the client directory. After selecting My List from the homepage, we should then see the three items from our Express server. Before uploading to Heroku we need to determine how to build our client code. The Express points to client/build, which we do not have before building our React app. 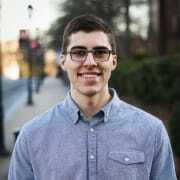 With Heroku we can add a heroku-postbuild script so that the React app is built after we push our code, rather than having to upload compiled code. Heroku will now enter the client directory and create the production build of the React app for us.